We are launching a call for applications for studies ‘Exploring Inequalities’ in three of our eight REACH Observatories: Dhaka (Bangladesh), Wukro (Ethiopia), and Kitui (Kenya). A total of £150,000 in funding (£50,000 for each observatory) will be available until April 2019 to co-build knowledge on how water (in)security contributes to socio-economic inequalities and marginalisation, particularly for women and disabled people. In Dhaka, the aim of the study will be to analyse how industrialisation and water security are interlinked, specifically, how different related structural challenges affect individual agencies, especially those of vulnerable people living in riparian areas of Dhaka. The capital of Bangladesh, Dhaka, has seen remarkable industrial growth and human development over the last decade, lifting many people out of poverty, but putting its rivers under significant stress to supply water and absorb pollution. The Government of Bangladesh has ambitious growth and development targets, such as doubling the annual revenue of the ready-made garment industry to USD50 billion by 2021 and achieving zero poverty by 2030. The REACH Observatory aims to support the government’s ambition for industrial growth, whilst minimising environmental damage and public health impacts, particularly for the poor relying on rivers for drinking, cooking, washing and bathing. Read about the ‘Water security for an urban river’ Observatory. In Wukro the study will explore how reliance upon domestic water sources for income generating activities shape social structures and affect agencies, particularly of vulnerable people. Wukro is a rapidly developing small town of 43,000 people located in the drought-prone highlands of Tigray region, Ethiopia. Despite the high level of access to piped water supply, poor service provision, coupled with low availability of groundwater, has resulted in majority of town residents using less than 20 litres of water per day. The town is benefiting from the ONEWASH Programme led by UNICEF and Government of Ethiopia, and funded by DFID which aims to improve the town’s water supply system to meet the projected increase in demand. The REACH Observatory is studying the impacts of the ONEWASH Programme, and aims to provide evidence on the distributional impacts of urban water supplies, and the role climate-resilient urban WASH can have in reducing poverty and inequalities. 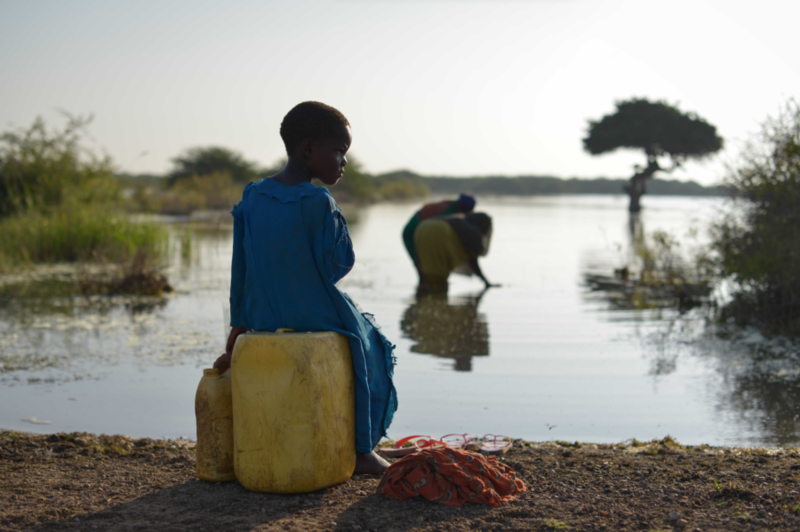 Read more about the ‘Small town pathways to water security’ Observatory. In Kitui, the commissioned research aims to explore the tension between structure and agency, particularly of vulnerable people in relation to governance and management of different water supply models. Kitui is a semi-arid region characterised by unreliable rainfall and periodic severe droughts (2004-2005 and 2017). The county is home to around one million people and the population is predominantly rural with two out of three households classified as ‘poor’. The REACH Observatory is located in the Mwingi North sub-county and, so far, the REACH programme has focused on investigating how to improve institutions to mitigate rural water insecurity risks from rainfall variability, unreliable infrastructure and unsustainable finance. Read more about the Building water secure institutions’ Observatory. The calls are open to researchers and research teams from civil society organisations, research institutions, regional organisations, think tanks, governmental organisations and the private sector. Researchers interested in the studies should apply to only one of the three geographic areas. Proposals will be assessed on an ongoing basis but applicants are encouraged to apply early and to communicate their intention to apply by 15 January. > Find out more about the calls and process for application here, or address any questions to reachfunding@ouce.ox.ac.uk.